Whether you are looking for a High-Pressure Shower Head that will give you an invigorating shower for days to come or to upgrade your bathroom without breaking your budget. The HotelSpa® Emerald High-Fashion Rainfall Shower Head with Extra-Large 8-inch Chrome Face and 120 Easy to Clean Jets will provide you with the Ultimate Luxury Spa like shower experience! Maximizes Water Pressure at 2.5 GPM for Extraordinary High-power Performance without wasting water. 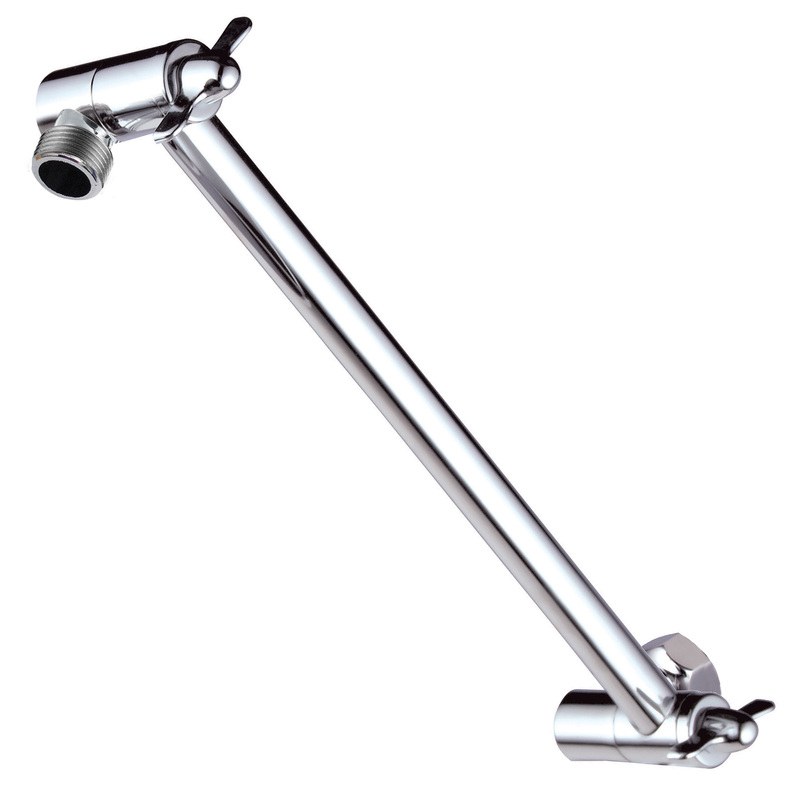 For your ultimate convenience, add our HotelSpa® Height/Angle Adjustable 11-inch Extension Arm, made from Solid Brass! Just click the picture below! Click the button below to add the HotelSpa® Emerald Ultra-Luxury 8-inch Rainfall Shower Head. Premium Chrome Finish to your wish list.